Most people love food and crafts, so marrying the two to create an edible food craft is sure to bring a smile to many faces. There are a variety of occasions when creating or giving an edible craft might be appropriate. Edible crafts are a great way to make something creative and yummy, and an effective way to teach kids a variety of different lessons including colors, sorting and counting. Young kids should always be supervised when doing crafts. Create a beautiful sun catcher that resembles stained glass out of some simple ingredients and materials. Use this craft to teach kids to sort by having them sort candies by shape, color or size. Children can also learn about shapes by identifying the shapes of the cookie cutters. Edible crafts at parties provide a good way to not only have fun and keep guests of all ages entertained, but to share tasty treats with them as well. Tie one piece of candy about an inch from one end of each piece of ribbon to prevent beads from falling off. Parents who who are having a hard time convincing their children to eat their vegetables or fruit might want to consider creating a fun game to encourage those picky eaters. 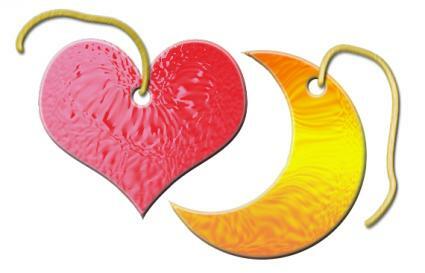 This craft is also a good game for a couple to play during a special dinner or to help keep guests at a party entertained. 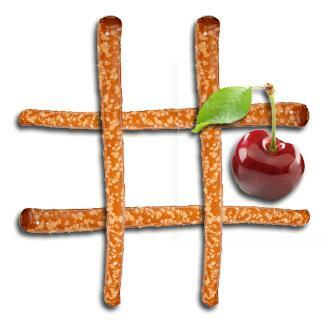 Give the old game a new twist by using foods to create the grid and pieces. If children are playing, teach them how to play the game of tic-tac-toe using the fruits and vegetables in place of "Xs" and "Os"
Provide dips and bowls or trays of other veggies and fruits to supplement the food used in game play. Ranch dressing or French Onion dip works well as a dipping sauces for veggies while fruit tastes good dipped in peanut butter or yogurt. Many people enjoy celebrating holidays with various traditions including creative and amazing food dishes. Holidays like Thanksgiving and Christmas, when families gather to share a meal, lend themselves particularly well to edible crafts. Make a holiday table even more special by serving guests a cute craft that will be as fun to look at as it is to eat. Present Christmas dessert on a festive and edible candy tray. This craft provides a cute way to serve cookies to Santa on Christmas Eve or as a way to give homemade treats to a neighbor or friend. 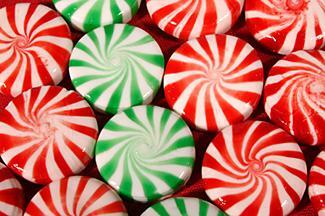 Use both green and red Starlight mints to create a decorative look. No matter what the occasion is, from a family dinner, child's birthday party or a wedding, edible decorations add interest to the decor and provide the perfect way to serve food to guests. 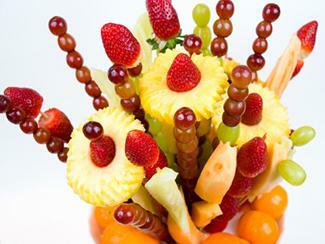 An edible centerpiece made out of fruit will be an attractive focal point on any table. This craft is a great way to add a fruit to a buffet, dress-up a party table, or to give as a gift. 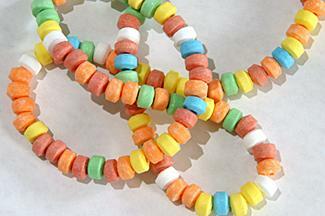 Edible crafts are attractive and fun to make and receive. They can be used as great educational tools, decorations for parties or as gifts. Creating them can sometimes be intimidating though. Follow some simple tips when creating these crafts which will help assure success. Using food items as craft supplies may not come naturally to you, but once you begin creating crafts that you can eat, you'll start looking at food in a different way! As you do your shopping or enjoy meals and snacks, consider which foods would be fun to turn into something a little more creative and visual.